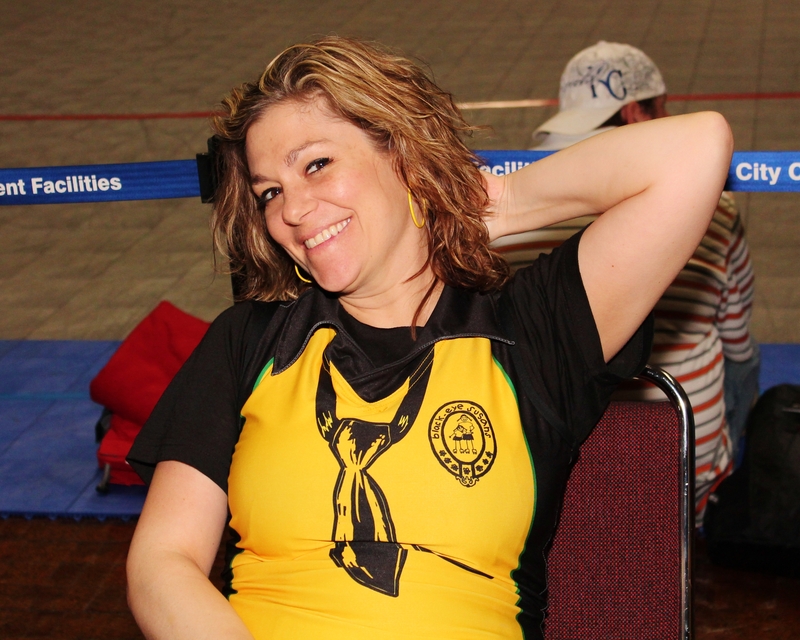 It was announced Saturday night, to the chagrin of all of us here at KC Derby Digest, that one of our all-time favorite Susans, Kay C. Shuffle, is hanging up her skates and calling it a career. The inimitable Ms. Shuffle provided scant detail as to what led to the mid-season decision, but indicated that a handful of personal responsibilities played a significant role. As fans and friends-in-derby, we of course respect her decision and look forward to seeing her at KCRW bouts and events this season and beyond. As an added tease bonus, she did briefly allude to the possibility of some future derby endeavors, but since we were not explicitly on the record, we’re not at liberty to discuss or speculate. You’re killin’ us, Shuffle. But we sure do love you.